← Double Your Money in Seven Days! Risk is a funny thing. We all seem to have a different idea of what things are risky. 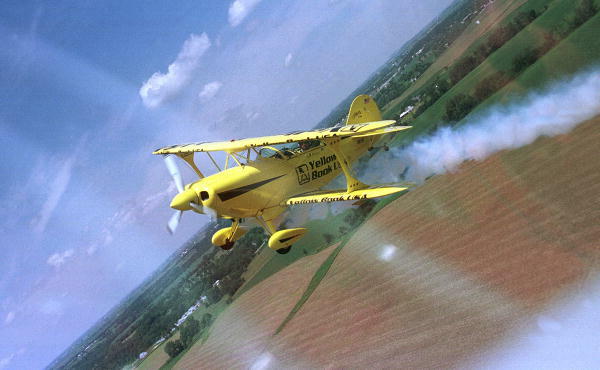 When I took flying lessons, the Cessna 152 my instructor rented happened to be stressed for aerobatics. I have never done anything quite as much fun as learning cloverleafs, barrel rolls, and loops. Not once did I ever feel in danger. Most people I talk to say they would have been petrified. You know what scares me the most these days? The idea that I might quit taking risks. I have blown out a knee in a martial arts tournament at the age of 45, gone broke (twice), and gotten pounded in my first real estate deal. I have accepted a job offer only to discover that the people who hired me were liars and thieves. For heavens sake, Noel, would you just STOP IT? Stay home for a while and make a cup of tea. It’ll do you good. My forays are nothing compared to many people. Adventurers, great entrepreneurs, and free-spirited thinkers abound. So do the timid–those whose idea of risk is renting a movie they may not like. Staying huddled up in our jobs seems safe. I have to admit that there have been times when I wanted to crawl under the bed, especially when that little voice said, “You idiot. What on Earth made you think THAT was a good idea?” It didn’t help that most of the people I knew agreed. Ironically, being safe is the greatest risk of all. Take some risks. I don’t mean foolish risks–drunk driving is stupid no matter how you dress it up. Car surfing, too. (Watch Dr. G. Medical Examiner sometime on the Discovery Channel for a view into the aftermath of that kind of thing.) Sinking all your money into an investment you do not understand also qualifies. Flying upside down is dumb–unless you know what you are doing. Then it is fun. Know what else? Flying upside down, stalling the plane out, and getting into a spin on purpose gets you ready for an emergency in which that happens for real. Relying on a job as your sole means of income may seem safe, but that strategy may be the riskiest of all. Get yourself in tight situations intentionally. Make some mistakes “on purpose” and learn how to deal with them before you have to. You’ll be glad you did.